After Apple's Bluetooth MIDI protocol has been implemented on all Apple's devices and windows drivers are available, going wireless with midi is simple! We thought initially to buy a Bluetooth midi interface, but prices didn't satisfy us. This is a great device for DYI projects. It has a Bluetooth chip and MIDI IN / OUT connectors. 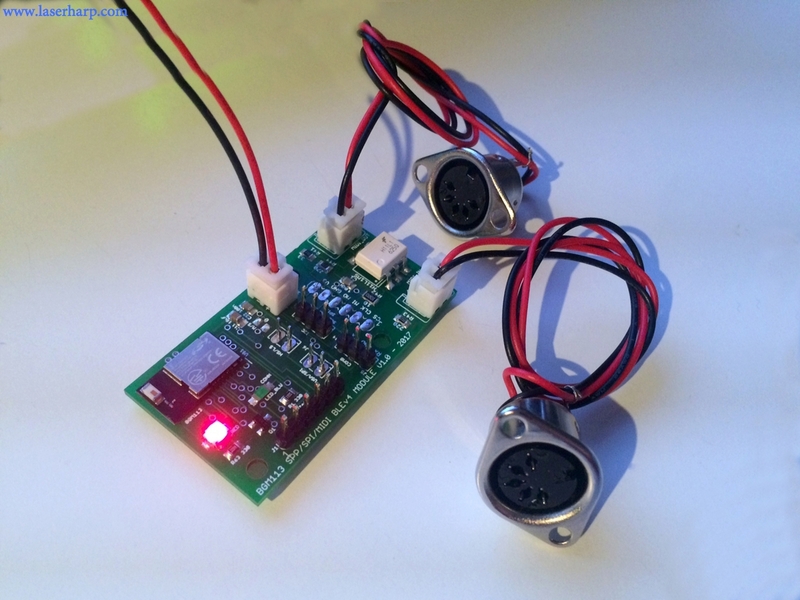 It is cheap (Euro 39) and small, and it can be powered with a couple of 1.5v batteries. 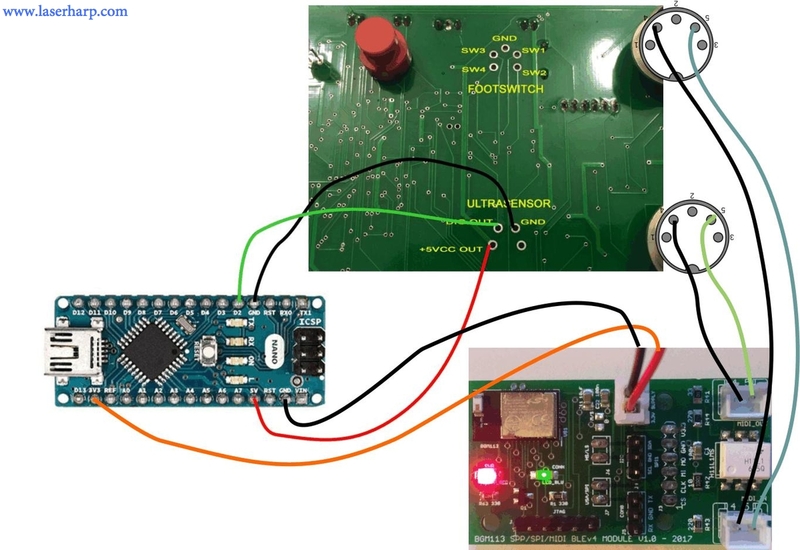 You can solder directly the MIDI connections on the EVO controller and take 3.3v from the Arduino Nano board connected to the EVO controller. The Arduino Nano you see in this picture is the one you used for the wireless sensor receiver. It is used here only to give 3.3V power to the Blumidi device, it has no other purpose for this part of the project). 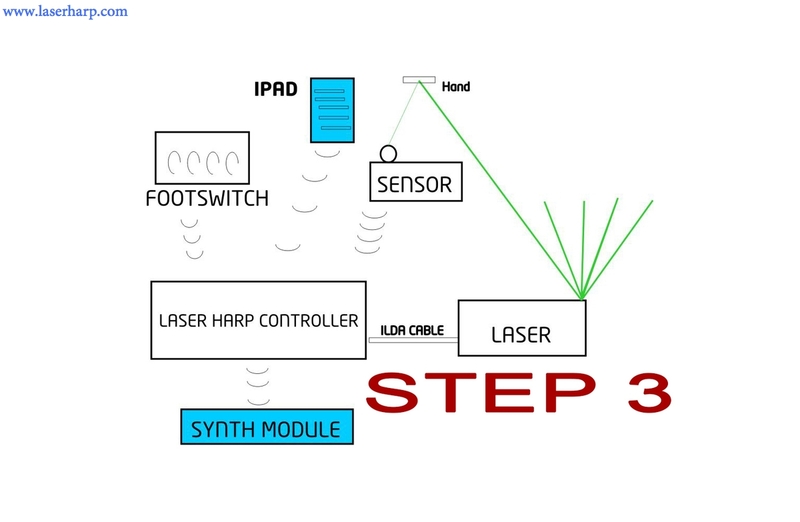 Now you finally have a completly wireless laser harp. As ever, no commercial use, please, this is an educational project! Need help in construction? Do you want prebuilt parts?